Can mistake that ruined majestic Kashmir lake be fixed? Tucked within Kashmir's Himalayan foothills sits a freshwater lake that was once among Asia's largest. 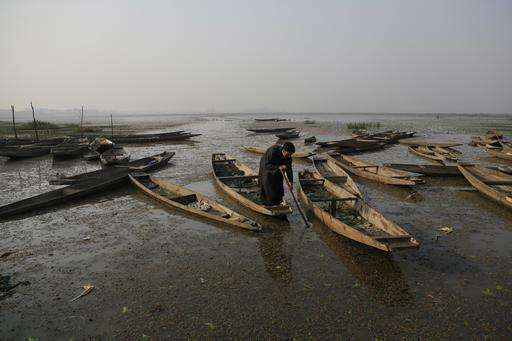 Long an inspiration to poets, beloved by kings, Wular Lake has been reduced in places to a fetid and stinking swamp. Just the sight of it makes Mohammed Subhan Dar feel sick. He admits he's partly responsible. Dar was among dozens of villagers employed in the 1950s by the regional government to plant millions of water-sucking willows in the crystalline lake. The goal had been to create vast plantations for growing firewood and timber for construction and cricket bats. The result was the accidental near-destruction of the lake, as the trees drank from its waters and their tangled roots captured soil and built up the land. The lake, now less than half of its former capacity, no longer churns and heaves with high waves, but meanders across mossy swamps and trash-strewn backwaters. Children long ago stopped playing in the water. Families no longer use it to cook. "It used to be so beautiful, so clear you could see the bottom. That glory is gone," said Dar, whose family has lived lakeside for seven generations. He alone planted at least a hectare (2 acres) of what is now a full-blown willow forest. "I feel ashamed every day. But it was work," he said. "We've felt so helpless as governments meddled with the lake." As Wular lost its appeal, its value declined. 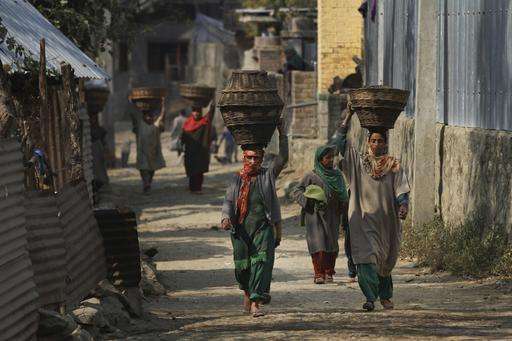 Poverty rates in the 31 surrounding villages shot up to around 50 percent—five times the state average. The authorities "did not realize what they were trading. 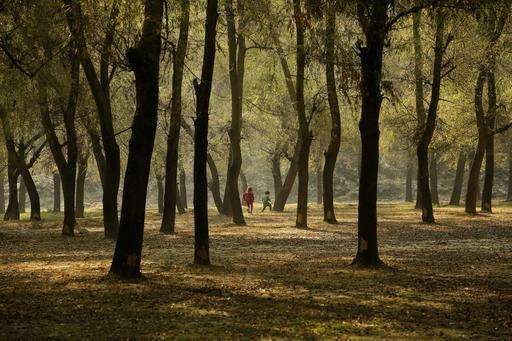 They were so focused on protecting and growing the forest they lost sight of the lake," said Rahul Kaul of the nonprofit Wildlife Trust of India , which last year worked on an economic assessment of Wular's repair. 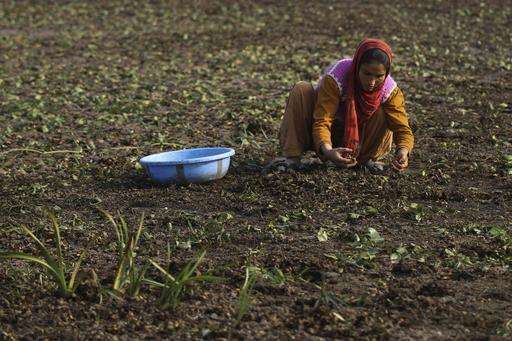 Kashmir and New Delhi officials now want to fell millions of trees, remove acres (hectares) of soil and dredge enormous patches of lake bottom. Proposals have been drafted, experts consulted and money pledged, including nearly $1 million already spent tearing up willow forest on the lake's eastern flank. But restoring an enormous alpine lake is no simple thing, especially with climate change now threatening the Himalayan glaciers that feed Wular's waters, and deforestation still unleashing soil to clog it up once more. Restoring such a lake in Indian-controlled Kashmir—where a decadeslong violent conflict often supersedes all other government plans—may be near impossible. Must steer your course with care." The name Wular itself means "stormy" in the local Kashmiri language, and once described the lake's strong winds and choppy waters. Formed within a deep cavern created by ancient earthquakes, the lake was for centuries considered a paradise by writers, philosophers, nobles and travelers who camped on its banks and reveled in legends of an ancient city that vanished in the 5th century when a massive flood filled in the lake. Mohammed Azim Tuman remembers a boyhood spent steering his houseboat by moonlight over towering waves. "My heart would be racing as I clung to the railing to keep from falling into the water," said Tuman, the elderly proprietor of a tourism business. "When a storm hit, the water would splash so high I thought, 'My god, the boat will be swallowed whole.'" Back then, Kashmir was still a sleepy principality at the edge of the British Empire. In the seven decades since, India and Pakistan won independence and began fighting over Kashmir, a prolonged separatist conflict has erupted and tens of thousands have been killed. Today hundreds of thousands of Indian troops hunt for rebels through the cities and countryside. Razor wire snakes across the landscape. Military vehicles trundle along mountain roads. Wular's surface lies flat, lifeless and in some spots stagnant, teeming with mosquitoes. 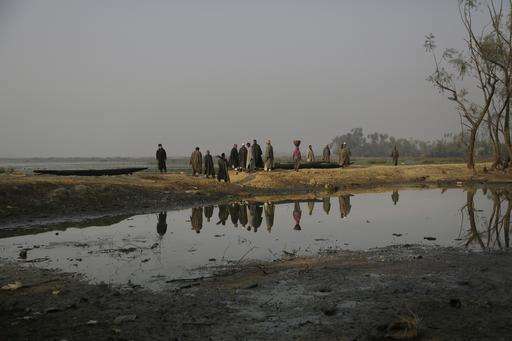 The water trickles in from the Jhelum River, and meanders some 16 kilometers (10 miles) before emptying through a dam on its way toward Pakistan. 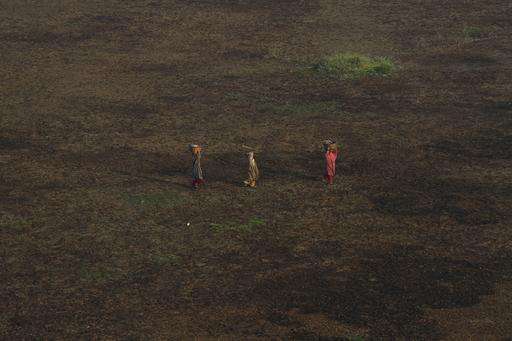 The surface and its surrounding marshlands have shrunk from 216 square kilometers (83 square miles) in 1911 to just 104 square kilometers (40 square miles) in 2008. Along the fringes, impoverished communities tend rice paddies and in autumn harvest wild water chestnuts from the lake shallows. 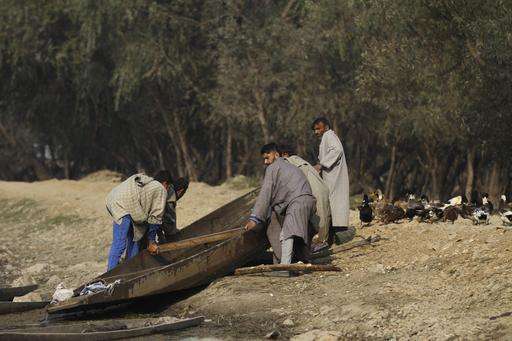 The ornately carved wooden houseboats that once surfed Wular's waves are gone. Wular's degraded state has not only ruined its prospects for tourism, but also has compromised the lake's function in absorbing heavy snow and ice melt from the mountains. In 2014, Kashmir's main city of Srinagar, just 34 kilometers (21 miles) southeast of the lake, was inundated with floodwaters that wreaked billions of dollars in damage. It happened again a few months later in 2015, raising calls for renewed efforts to restore the region's natural water systems. The warnings of Nature are but too clear. When will the Himalayan springs burst?" Wular's story is a familiar one—a story of development at nature's expense, of good intentions and profound regret, of wetlands disappearing. Since 1990, the planet has lost 75 percent of its wetlands as communities drained the water and built on the land. What's left today offers about $3.4 billion in services including water filtration, flood control and wildlife support, according to a 2010 report for The Economics of Ecosystems & Biodiversity , an ongoing project proposed by the Group of Eight industrialized nations to study monetary values for the environment. More than half of that annual value in wetlands—or $1.8 billion—is delivered by wetlands in Asia. "It's typical throughout India, not just in Kashmir. 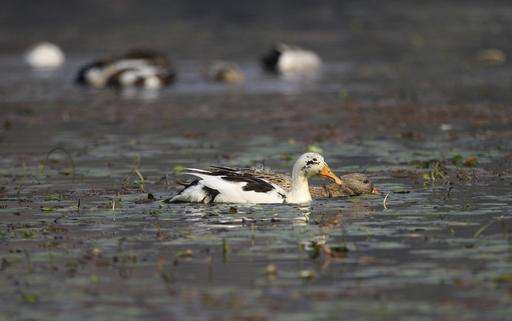 The critical balance between ecology and economy that is missed," said Anzar A. Khuroo, assistant professor of biodiversity at the University of Kashmir in Srinagar. 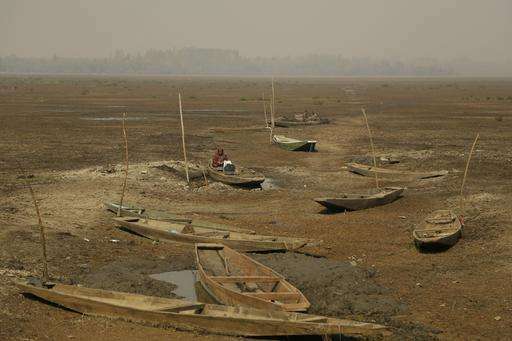 Kashmir's other losses include Anchar Lake, now almost entirely gone, and the famed Dal Lake in Srinagar, which has lost 70 percent of its capacity. In 2008, Wetlands International came out with an $82 million plan to restore Wular's ecology. The costs would be recouped with 12 years from timber profits, improved fish stocks and an expected 40 percent boom in ecotourism. Within 20 years, the report estimated, every $1 spent on restoration would lead to $2.74 in value returned. The Indian government was intrigued. Experts confirmed there were profits to be made from a cleaner, healthier lake. Some suggested it could be done for a third of the cost. India's parliament in 2011 approved a budget of $26 million. Officials began talking about five-star hotels, riverside parks and boulevards for frolicking middle-class tourists and auctioning rights for running water sports. The unique gems that Wular Lake holds in its depth." Getting everyone on board was a major effort. The willow plantations alone are carved into blocks controlled by individuals, villages and a multitude of state government bodies, while the lake's overall management involves even more departments including forestry, farming, fisheries, pollution control and the army. It took years just to agree on the lake's boundaries. The project was again re-evaluated. The approved budget dropped to just $2 million. By the time the first willows were chopped down, it was 2015. Only half the budget had been allocated, and those in charge of the work saw it wasn't enough. Still, they chopped and dredged. They removed about a million cubic meters (1.3 million cubic yards) of silt—or 200,000 truckloads—before federal funding expired. Project officials say the future felling of trees could bring in enough to reinvest $44 million in lake restoration. In the meantime, they want funding to restore 5 square kilometers (2 square miles) while they keep lobbying for more. "What we've spent so far will be fatuous. 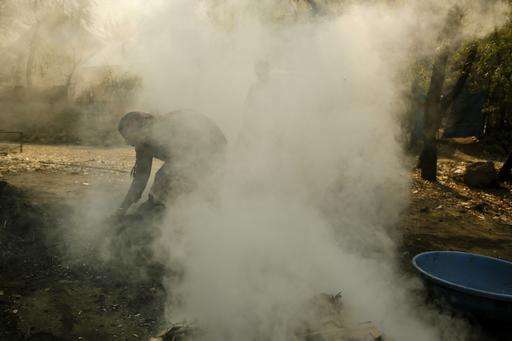 It will have no impact at all," said Rashid Naqash, a government forest officer in charge of the program. "And then people will say it was a waste, declare it a failure and forget about it. But we can't give up." Whether the project can survive is debatable. Any further work will need a new proposal, more evaluation, another environmental assessment, further debate and higher costs. Naqash said they'd need about $280 million more for the eventual goal of restoring 27 square kilometers (10 square miles). That's many times more what has been spent so far, but just over a third of what India spends on security in Kashmir in a single month. Indian officials are singularly focused on their enormous military deployment in the region amid a public uprising and renewed popular rebellion against Indian rule. 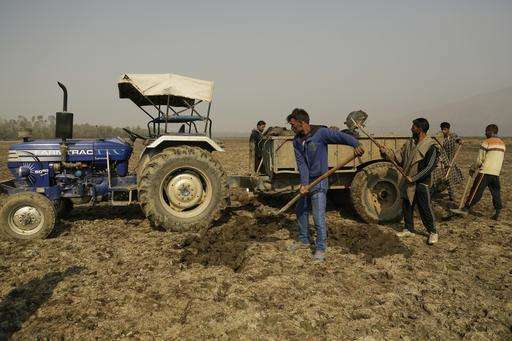 Scientists warn that any efforts to repair Wular will be futile unless the plan also deals with areas far upstream, where lake-clogging soil and silts are still being loosed from newly deforested lands. The plan would also have to consider climate change, they say, which is upsetting Himalayan rainfall patterns and may affect how much water is available for the lake. 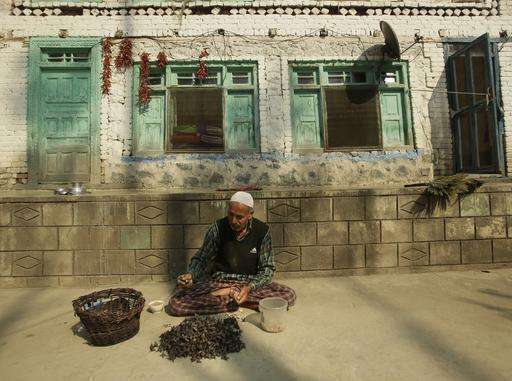 "I don't think the government has an understanding of how difficult this work would be," said Himalayan geologist and glaciologist Shakil Romshoo, a professor at the University of Kashmir who was part of a government-appointed team that assessed Wular's restoration in 2010. "We know a lot about the lake, the glaciers, the forests and ecosystems. But that knowledge is still not informing policy. And so any restoration project is going to be pointless."